These organizations provide support and education for prostate cancer patients and survivors and others confronted by cancer. Services include funding for nationwide Man to Man prostate cancer support groups, and related fiscal and informational resources. Chaired by Dr. Inderbir Gill. Manufacturer of the da Vinci robotic devices. Site includes robotic-assisted prostate cancer treatment information, including patient profiles and videos. Support and education for prostate patients, survivors and their families in the United States and abroad. Support and education for prostate patients, survivors and their families, with about 320 chapters in the <?xml:namespace prefix = st1 />United States and around the world. 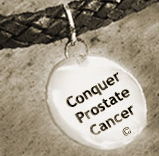 Cancer organization that conducts prostate cancer and other cancer support groups, with approximately 22 chapters in the United States and abroad.